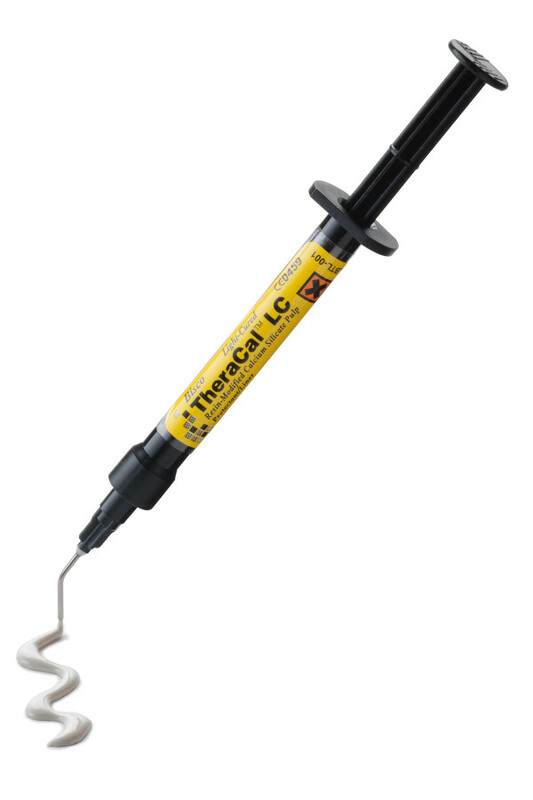 With its unique ability to stimulate apatite, TheraCal LC, a light-cured, resin-modified calcium silicate, is ideal for direct and indirect pulp capping and for use as a protective base/liner. Because of its excellent handling properties, TheraCal LC stays where it is place to efficiently aid in the regenerative process. Its alkaline pH promotes healing and results in virtually no postoperative sensitivity. Have been using TheraCal since it came out and it is fabulous. It is our go to base under any deeper restoration and it has not disappointed. Works as a an indirect or direct pulp cap as well. I have used as a pulp cap and as a deep lining base without any problems at this time. I have been using TheraCal since it first came out and have been very impressed with using it for both indirect and direct pulp caps. I use TheraCal in areas where I feel a little extra protection is needed to prevent sensitivity under my restorations. It's easy to place and light cures quickly. I've been very pleased with it. 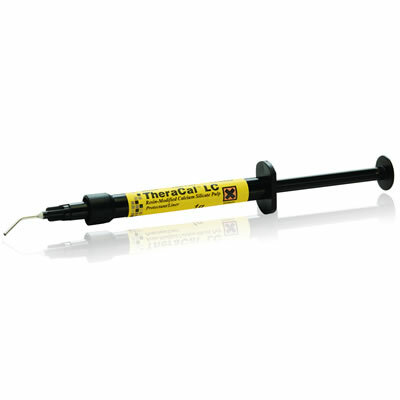 I use Theracal under all deep restorations, knowing that I am doing the very best to relieve sensitivity. We've had wonderful results using Theracal! Dr. Ryan does anything and everything to not have the patient incur extra fees due to going ahead with root canals just because! We probably do an average of 1-3 pulp caps daily, the majority of our patients haven't been to a dentist in years therefore we are seeing them when it's almost too late! But in the 3 1/2 years using Theracal we're at a count of 6 patients needing further treatment of a root canal, outstanding results for the product! I have used this product with great success on small exposures and pulp capping. It is also a recommended product for students at the dental school I teach at. Been practicing dentistry for 45 years, so I have tried a lot of solutions. I love the fact it is not water soluble. Very easy to place. Becomes quite hard as compared to traditional CaOH. Certainly a step up from the traditional glass ionomers. I've been using TheraCal LC for about 3 years now and love it. Extremely easy to use, good for direct and indirect pulp caps. I've realized that teeth that require pulp caps and are treated with TheraCal LC don't seem to be heard from again. Easy application! Impressed on the clinical aspects of this product!! We have used Thera Cal for years. This product is wonderful. I work in a free, low income clinic and we see a lot of massive, pulp threatening decay. We operate on grants and donations, so we don't have money for extras but Theracal is worth every penny.